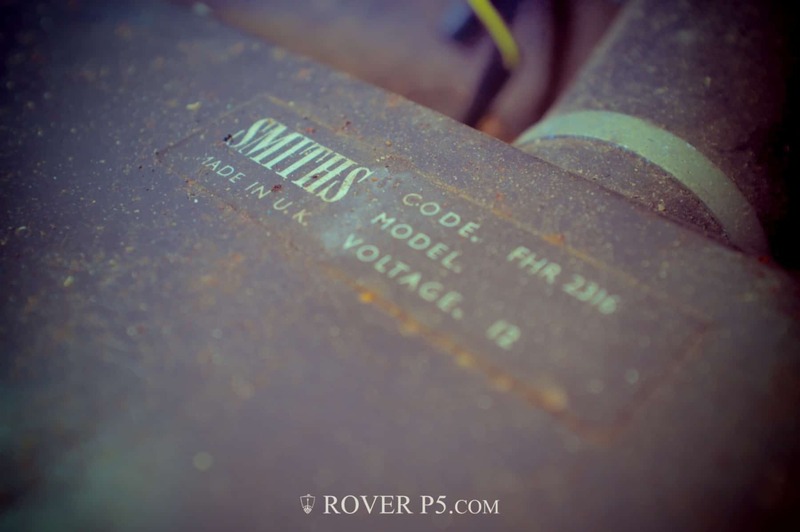 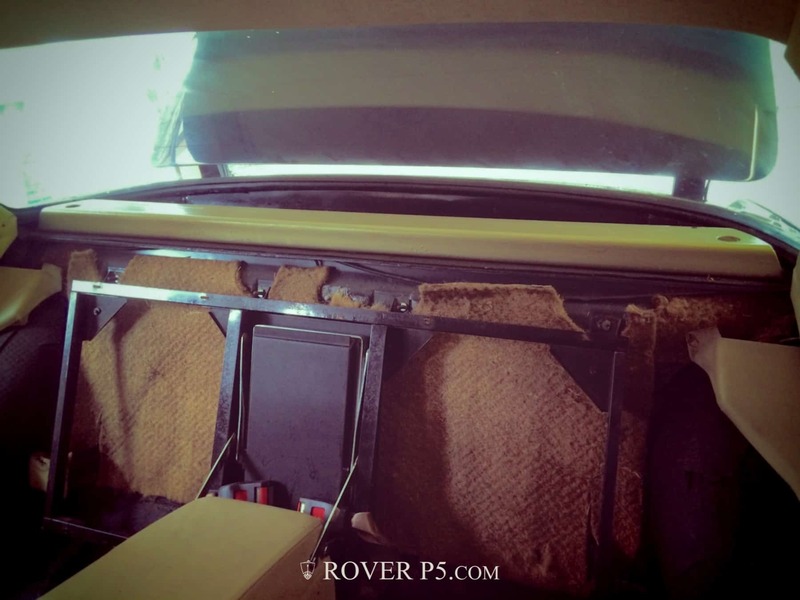 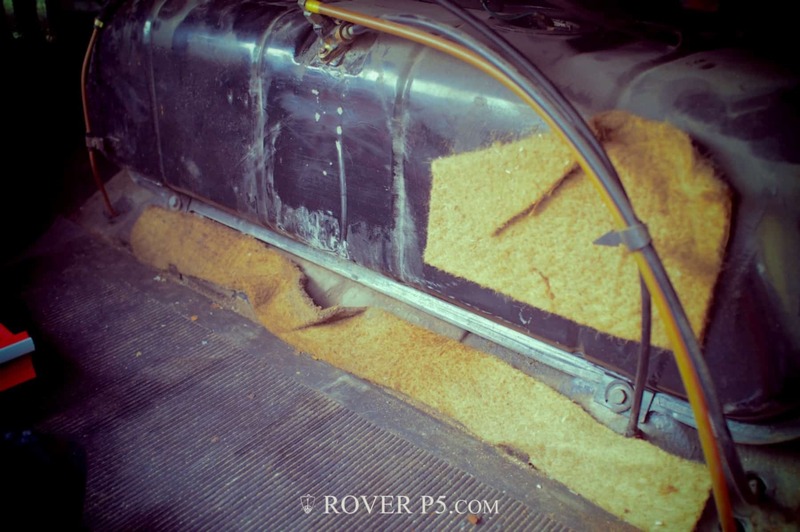 Stripping The Rover P5 and P5B Interior. 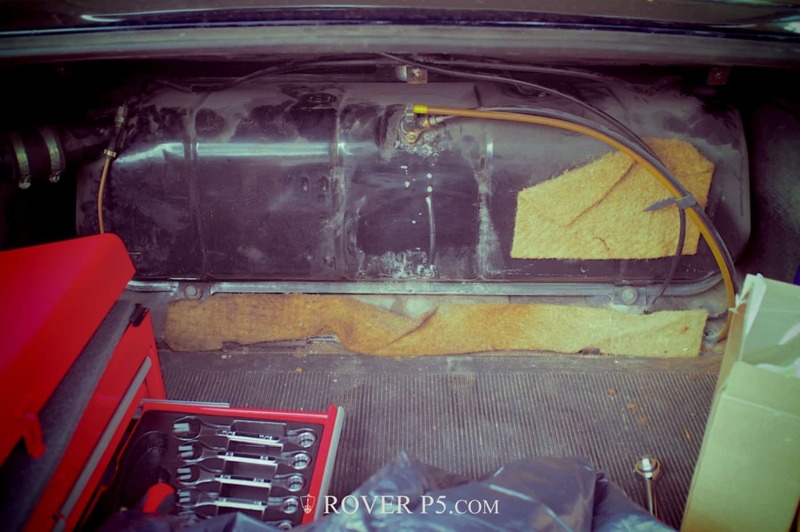 My wife had conveniently gone away for two weeks, so I made the most of the opportunity and stripped the inside of the car – seats out, carpet out. 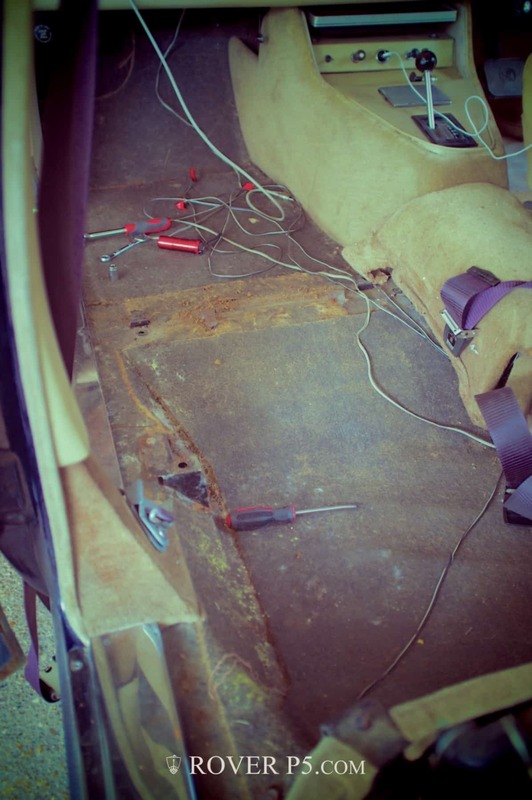 I started in the rear of the car – on my car the seat bases lift out, and the seat back hooks onto a frame, although I believe that is non-standard (they should be screwed to the frame). 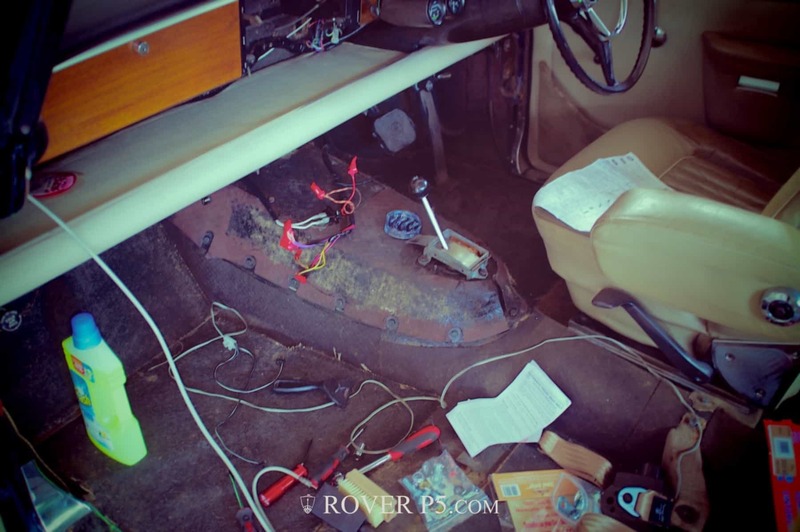 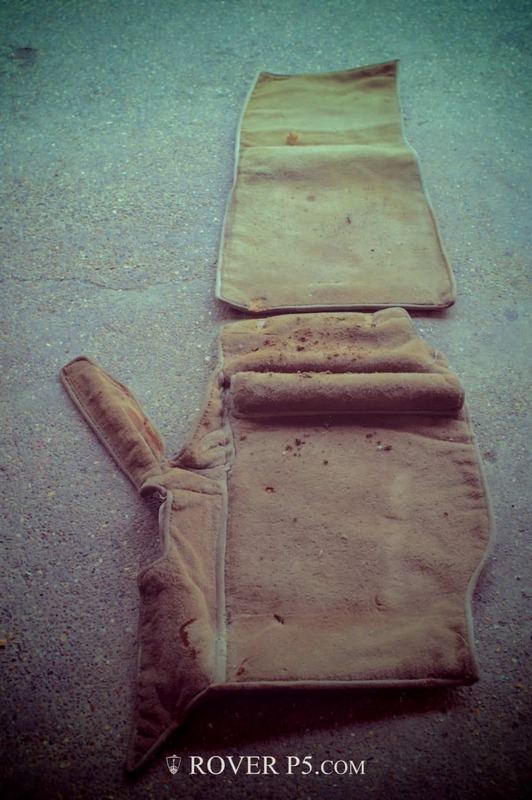 The centre console was removed and stripped and re-covered with new carpet and vinyl to match the original as far as possible, and the non-standard switches replaced with original-style ‘organ-stop’ pull switches. 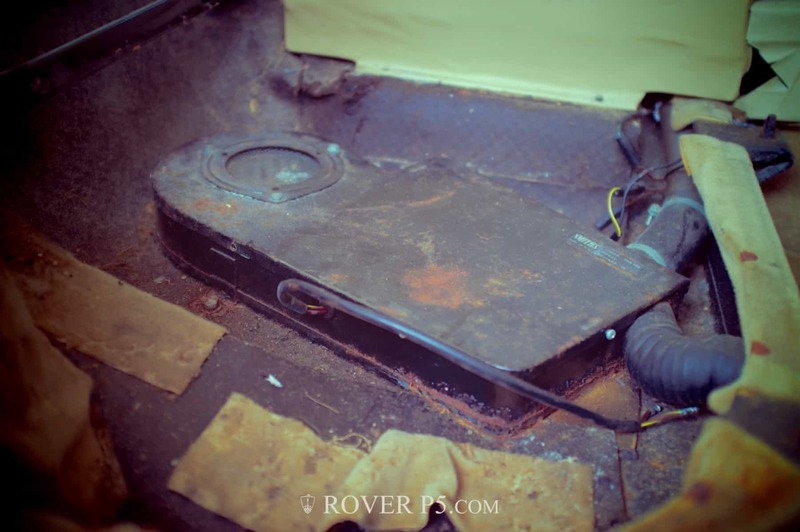 Here’s a general shot of the inside back in April…more to follow.